As the Internet has grown in size, accessibility and importance, so has the amount of content produced by marketers and business owners who wish to take advantage of the medium. To cut through the clutter, content marketing need to make sure that the items they produce are shareable. Getting content out to the public brings value traffic back to a site. By creating things that are willingly shared by the target audience, marketers can exponentially increase the range of their content. Here are four tips marketers can use to give their content wings. What kind of consumer am I trying to reach what this content? How would the content be used by the audience once they find it? What audience would find the content interesting and then respond in a way that’s good for a business? Answering these questions will help business owners choose the target audience that’s best for their business. When producing content, marketers need to remember that not all content topics are created equal. It’s not just that some topics are more popular than others, what business owners need to remember is that some topics maintain the relevance far longer than others. When deciding on post topics, marketer should be searching for topics that will be search worthy even in the future. For example, a post that addresses common questions from consumers will be beneficial for as long as new customers are searching for the answer to that question. Similarly, an article with the latest does this text and data on the topic will remain useful for months or years because it takes time to produce new research. This does it mean there’s no room for news articles. On the contrary, people are awesome looking for old news articles to verify facts they remember from the past. As has been into numerous times and other articles on the site, multi-platform compatibility is important with all content marketers produce. Its important that content be more than just beautiful on other devices. Viewers must be able to enjoy the content on the device of their choice. Small formatting changes, like the white space or the resolution of images, can have a big effect on how far cotton spreads. Building sites with responsive design will help with most of it, however, such automatic fixes don’t guarantee that everything works correctly on other devices. This is especially true for graphic-heavy and flash-heavy sites. Marketers need to take the time to view their sites and their content for all devices. 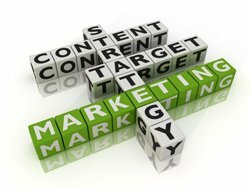 It’s understandable that marketers are eager to produce a large amount of content for the site. However putting quantity over quality is counter productive. In the end, a brand is better served by producing a small amount of high-quality content than producing a large amount of low quality content . Viewers are more likely to stay on a page longer if there’s something worth reading on it. It also makes them more likely to share. Rushing to produce a large number of articles can also lead to mistakes that hurts the perception of the content and the brand in general. A 2013 study from Disruptive Communications found that 40 percent of respondents admitted that poor spelling and grammar reduced their favorable impression of a brand. Producing quality content that’s share by others is essential for business owners engaged in a content marketing strategy. For more research on what makes content shareable, read this article on our site about a 2014 study on best practices for content. Marketers should also keep in mind that high-quality content is the future of SEO. Producing content with wings gives business owners numerous advantages over their competition.